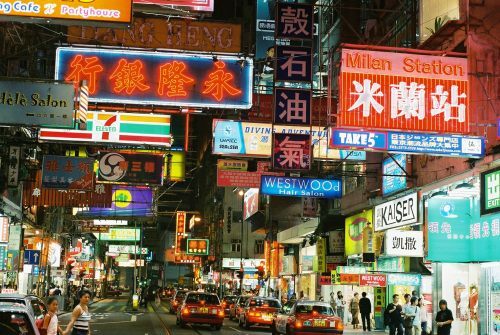 Toronto to Hong Kong - $546 CAD roundtrip including taxes | non-stop flights! Air Canada just loaded a few unbelievably cheap fares from Toronto to Hong Kong, and the flights are non-stop to boot. And yes, that is one long flight! (15 hours). So far the only available dates are fairly limited. It's actually the departure dates that are limited. Sep 19 and Oct 1 seem to be the only ones that work. But you can return on a variety of different dates. Update @ 3:30 PM EST - It looks like these may have sold out very quickly. Not overly surprising, considering the limited number of departure dates. Hopefully Air Canada will add some more of these! Currently, the prices are returning at over 4 times as high as they were just a short while ago. 2. You may wish to select 'non-stop' only, on the left hand side of Kayak. Update: These are also available for booking directly through the Air Canada website. The following AirBNB link will lead you to some great deals on places to stay in Hong Kong for under $70 CAD/night for 2 people. toronto, yyz, flight deals, air canada, asia, east asia, hong kong and hkg. 5 Responses to "Toronto to Hong Kong - $546 CAD roundtrip including taxes | non-stop flights!" Unfortunately this one did not last very long, even by amazing deal standards. Not overly surprising, considering the limited number of departure dates that were available. Hopefully Air Canada will add some more of these! Be Aware !!! The price is US Dollars. Convert to CAD$ for today rate 1.319 = CAD$750. Canadian guy: The price was indeed $547 Canadian. I know, because I managed to snag a couple of seats. You can even see in the screenshot of the blog post from FlightNetwork that it says CAD beside the price. This one sold out very quickly though (which means the price changes), probably because of the low number of dates it was available for. And of course how amazing a price it was!